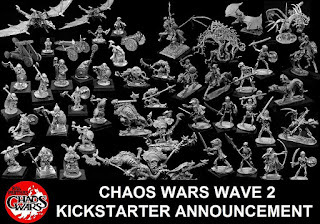 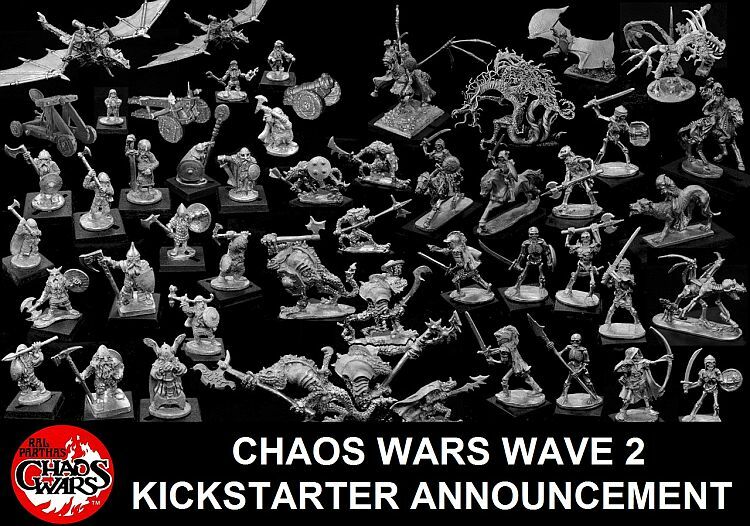 Over on ralpartha.com, they posted their "KickStarter Wave 2 Announcement" here. 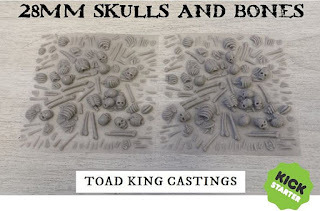 But to give a couple directly from Kickstarter.com, check out "28mm Skulls and Bones for basing and terrain" by Iain Colwell here. 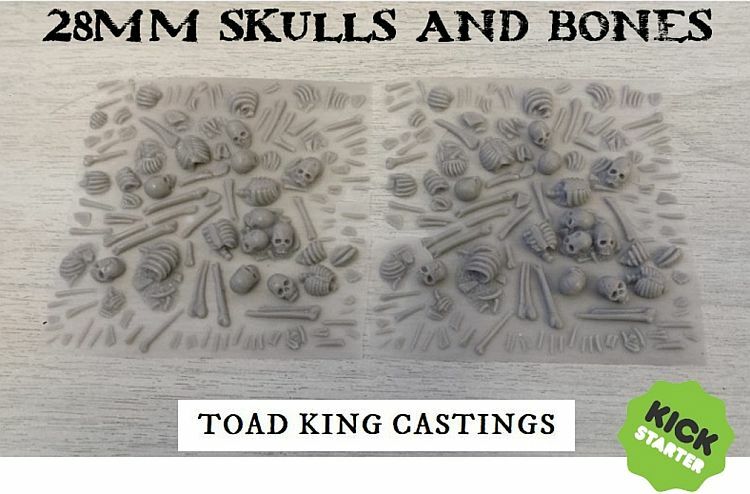 Finally, have a look at "Stone Skull's 28mm Tabletop Gaming Miniature Furniture" by Stone Skull Studios here.